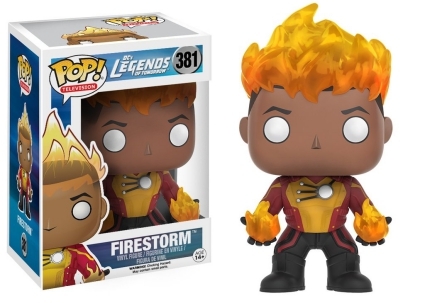 Make way for Funko Pop Firestorm! Vinyl versions of the nuclear meta-human are offered in the modest-sized set. Up first is the original pair affected by a nuclear accident: Ronnie Raymond, an average student, and Martin Stein, a highly intelligent physics professor. The two are able to fuse together to become Firestorm. Stein is literally the voice inside Ronnie's mind since he is chosen to take physical control, which is why their figure is in peak condition. Included in the main Pop! 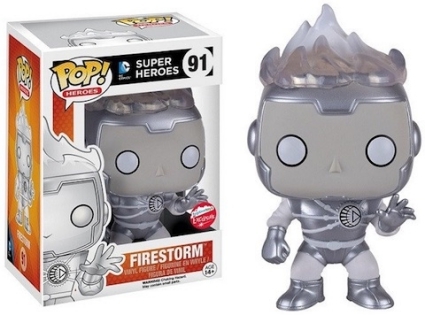 DC Heroes line, Firestorm White Lantern and the glow-in-the-dark variant are exclusive to Fugitive Toys. These figures were first released at 2016 San Diego Comic-Con. 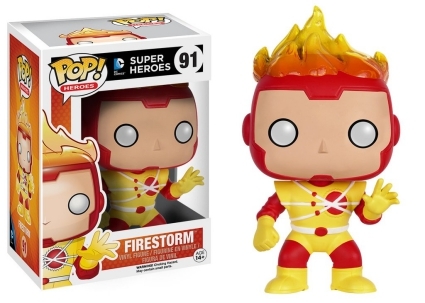 Shop for Pop Firestorm Figures on Amazon. 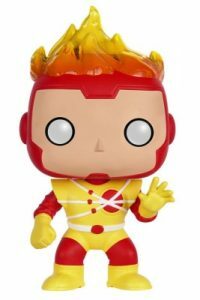 The small-screen Firestorm, who is part of the Funko Pop Legends of Tomorrow team, was introduced to audiences on CW's The Flash. While Martin Stein is still the voice of reason (most days), he has a new partner—Jefferson "Jax" Jackson. 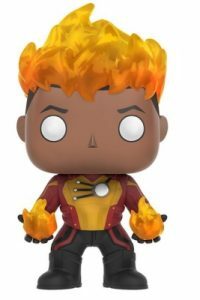 Further differentiating from the comic book character, this Funko Pop Firestorm release is given an updated costume featuring Jax in black pants. Also, the Pop! Television edition holds bright fireballs in each hand. Can't get enough of the fiery duo? Don't sweat it, we've got you covered! 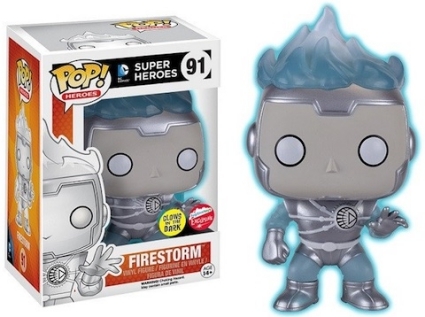 Fans looking for more Firestorm collectibles can take a look at these Cryptozoic trading card products: 2012 DC Comics New 52, 2016 DC Comics Justice League, and The Flash Season 1 and Season 2. DC LEGENDS OF TOMORROW FUNKO POP FIGURES FIRESTORM NYCC HAWK ATOM WHITE CANARY..
DC Funko Pop Super Heroes Firestorm fugitive toys exclisive gitd Sold Out! View more information about Pop! Firestorm with our other Funko guides. Also, check out related trading card sets that feature Firestorm.